What Is It and How to Get It? You can read about some of these scientific studies here on the Molecular Hydrogen Institute website. Hydrogen is the simplest and lightest element and consists of one proton and one electron. It exists mainly in the diatomic form as molecular hydrogen (H2) gas. The single hydrogen atom, or atomic hydrogen (H), is neutral and has an unpaired electron. It is a highly unstable free radical. Water ionizers produce atomic hydrogen by way of electrolysis. These atoms then immediate react with other hydrogen atoms to form molecular hydrogen molecules (H2), which are stable and anti-oxidizing. H2 molecules are extremely small in size and have high fat solubility. This allows the hydrogen molecules in hydrogen-rich water to be easily absorbed into the cellular tissue of the body, delivering selective antioxidants. These antioxidants can neutralize free radicals and protect cellular proteins as well as DNA and RNA from the damaging effects of oxidative stress. However, we now know from the research, that the primary benefit of ionized water is actually the molecular hydrogen in the water! It enhances production of your body’s key enzymes, including glutathione, super oxide dismutase (SOD), and catalase. It can improve cell signaling and metabolism, as well as favorable gene expression. How to Get Hydrogen in Water? As mentioned earlier, the easiest way to get a therapeutic concentration of H2 is by producing it in drinking water. 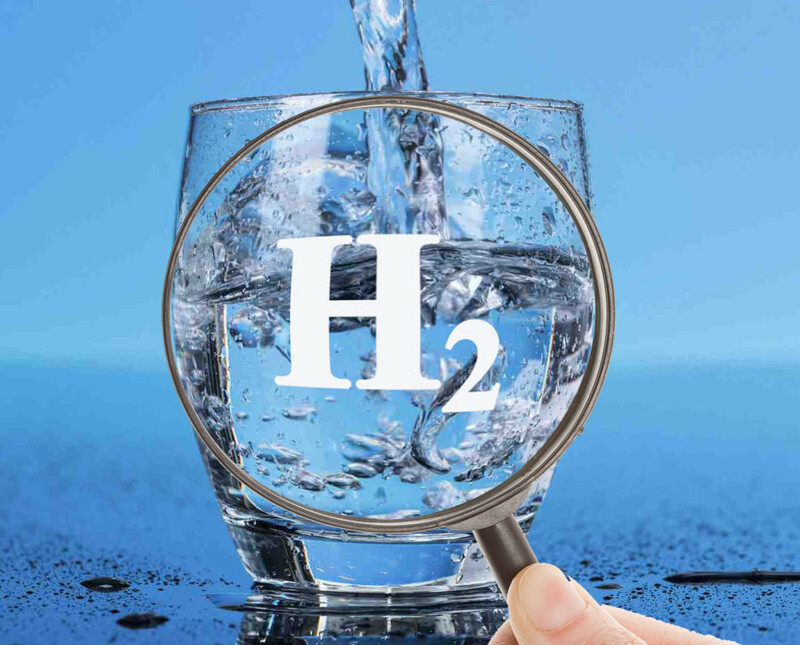 Two ways that have been proven to create a concentration of H2 in water are: (1) to drink water produced by a high-quality water ionizer or (2) to add special magnesium tablets that can produce H2 in water. If you are thinking of buying a water ionizer, one of the most important things to consider is the degree of hydrogen concentration that the ionizer can produce. Most water ionizers produce water that has a negative Oxidation Reduction Potential (ORP). However, we now know that even though a negative ORP does indicate the presence of H2, it does not measure the concentration of it. In other words, not all home water ionizers are created equally, and they can range anywhere in price from $300 to $6,000. If interested, you can review our recommendations for water ionizers on this page. This is the method most often used by scientific researchers. The advantage of this method is that it achieves a concentration of molecular hydration at near saturation level of 1.6 ppm. This means that you can consume a higher amount of H2 without having to drink a large amount of water. In other words, with the hydrogen tablet we recommend (see link below), you can get about the same concentration of active hydrogen in 1 liter of water compared to 10 liters of ionized water. However, adding just any type of magnesium tablet to water will not produce hydrogen-rich water. There are a few products on the market formulated to produce hydrogen in water. To my knowledge, the H2Viva Hydrogen tablet produces the highest H2 concentration available and it has been scientifically studied.